If you’re concerned one or more of your trees are diseased, it’s time to call in an expert arborist to advise you on what course of action should be taken. You certainly don’t want a tree falling on your house or a person. 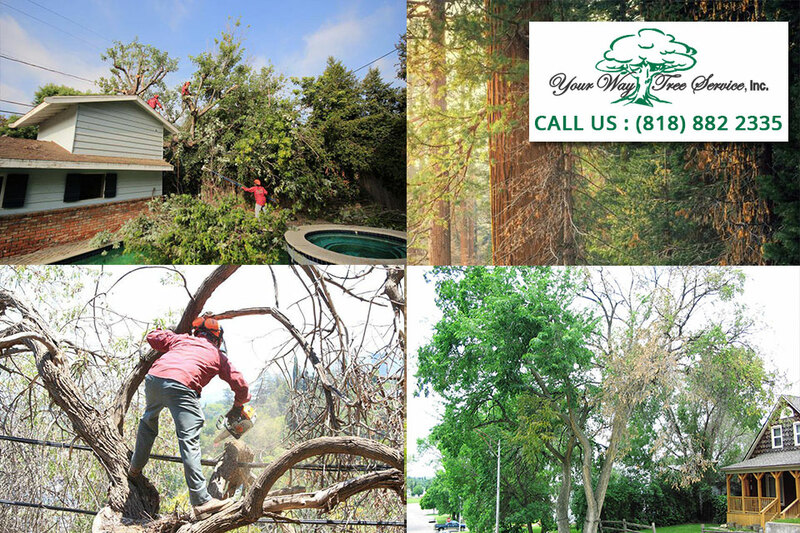 You need professional, emergency tree care. The presence of black shoots or flowers can be an indication of fire blight, a common disease that affects over 100 different plant species. When the flowers and shoots have turned black, it means they are infected and will eventually change into a crook-shape. If there is fluid seeping from your tree, it could be a sign of alcoholic slime flux. When the tree is badly-infected, the fluid will collect around the base of the tree. The fluid often smells unpleasant and leaves dark marks down the branches or trunk of the tree. This is most common in the warmer months. If a tree is infected with the fungus Inonotus dryadeus, it will eventually form large, plate-like ‘shelves’ that jut out from the base of the tree near the soil. These shelves darken over time, to become black. The fungus also stunts branch growth. Oak trees are particularly prone to infection by this fungus. The fungus Fomes fomentarius attaches to trees like birch, hickory, maple, and cherry. It appears as a hard, grey, hoof-shaped growth with thousands of tiny white pores on the underside. If the bark of a tree is peeling, it’s a sign that the tree is diseased. The bark is meant to protect the inner parts of the tree from the elements, and intact bark is essential to a healthy tree. Once the large pieces of bark start peeling from a tree, it might be a sign that the tree is dying. While a small amount of peeling usually is in many trees, large portions peeling off could lead to death. 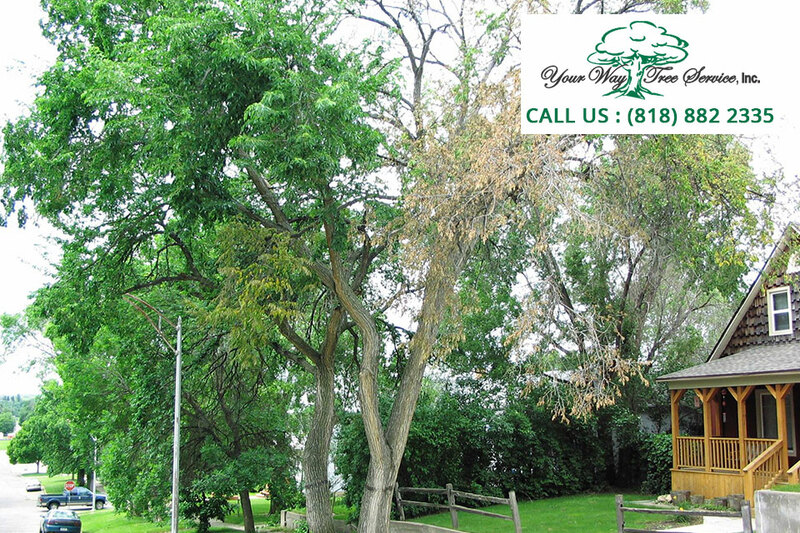 The presence of powdery, white mildew on the leaves of a tree is also a sign of disease. It usually develops when the weather is humid and causes the leaves to become distorted and yellow. The mildew infection starts with small, white spots, which spread to form a white, powdery layer on the surface of the leaves. If a tree’s leaves have turned brown or yellow and growth is abnormally slow, they could be infected with Armillaria root rot. This fungus rots the roots, causing general disease symptoms like large branches dying off. * Abundant caterpillars or grubs that can tunnel into the wood. * Jagged leaf edges or torn leaves. * Discolored or falling leaves. * Cracks or splits in the bark. * Spots, blemishes, marks, or blisters on the leaves. If your tree is exhibiting any of these signs, call Your Way Tree Service Inc. at 1 (818) 882-2335“ for professional advice without delay.